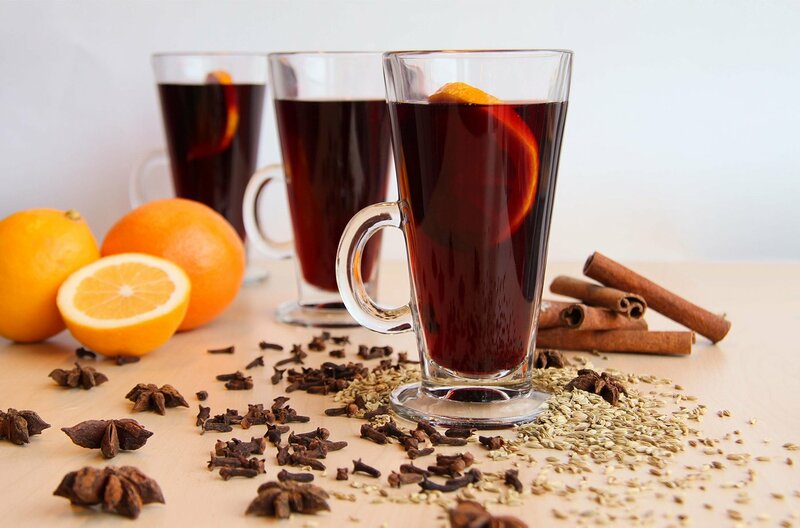 Beat those winter blues with an indulgent and festive cup of mulled wine. This recipe was passed down from Michael Arlukiewicz, Le Cordon Bleu New Zealand Chef. Peel the lemon & orange skins and blanch in warm water for 10 seconds, then run under cold water. Squeeze the juice out of the lemons & oranges then add into a large pot with the rest of the ingredients. Leave under a very low heat (70-80 degrees) for around 10 minutes until the flavors blend. Have a quick taste and serve, Voila.